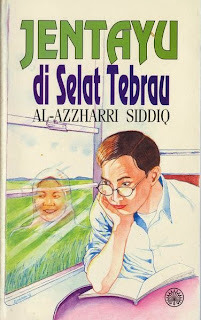 Assalamualaikum wbt. Ramadhan Greetings to YAB Tun and family. May Allah bless YAB Tun with good health, abundance and long life. Based on my humble and little observation, it is obvious that the era when YAB Tun first led our beloved country between 1981 and 2002 is a lot different from now with so many changes that have since taken places. As such, I concur that there are many changes that need to be carried out in order for our beloved country to be able to move forward in the new era of the 4th Industrial Revolution and beyond. And in politics, I also concur with the direction that YAB Tun wishes to take our beloved country in moving forward and creating a new, vibrant culture of work and politics. Hence, I agree with YAB Tun's earlier speech to not accept elected representatives who wish to jump ship. This demeans the people’s mandate and furthermore it would also dishearten staunch supporters of PH and its various component parties. The latter had worked hard through thick and thin, and it would certainly disappoint them to be later eclipsed by the exodus of “ship jumpers” from former rival political parties. Nevertheless, I understand the need of the PH led by YAB Tun to have good support as many things that need to be done require the support of a two-third majority in parliament. That rival political parties have disengaged themselves from their parent party, BN and declare support for PH is a pact that would help accomplish the needed parliamentary support for changes or reforms that PH had pledged to carry out. However, in order to bring integrity to the electoral and democratic processes, it might be necessary to introduce anti-jump law. This is because we still have high number of politicians who have not yet acquire that level of integrity and are quick to shift allegiance for narrow, self-interest. In matured democracy, this ship-jumping antic does not happen, although horse-trading may also be seen as it’s more subtle form. In the US, for example, the rotation of governance between democrats and republicans are common and elected representatives there do not jump ship because the president or governors who won state governments come from opposing political party. In democracy, both members of the ruling party and the opposition have important roles to play in upholding democracy and providing a check-and-balance so that the process of governance benefits the people. We see how this works in many countries such as in the United States, the United Kingdom, Australia, and Japan but not so in our beloved country, Malaysia. Before 2008, the argument has been that the number of opposition is small and hence a shadow cabinet cannot be formed to check on the ruling party. But since 2008, there is a huge number of opposition members and still the country do not have a shadow cabinet that can check the ruling party. Hopefully, now that BN is on the opposing side, they can form the shadow cabinet in order to provide the need check so that PH would be working hard for the good of the country and its people. In my humble opinion, the culture of jumping ship destroys the very fundamental of democracy because it betrays the trust placed by electorates in their elected representatives. If elected representatives want to jump ship, they should either vacate the seat or seek the support of those whom have voted for them. That would be the only honorable thing to do for all parties concerned, either for the receiving party or the party that is about to be abandoned as well as the people who had voted for their elected representatives. It is very honorable for Lim Kit Siang and Lim Guan Eng, for examples whom have remained loyal to their principles and stay on with DAP come what may. Undoubtedly, both father and son team had gone through many rough times and spots but they remained steadfast because they were convinced of their party's struggle for the people. This is the spirit to be learned and should pervade in politics. People will then be confident of their politicians and leaders. 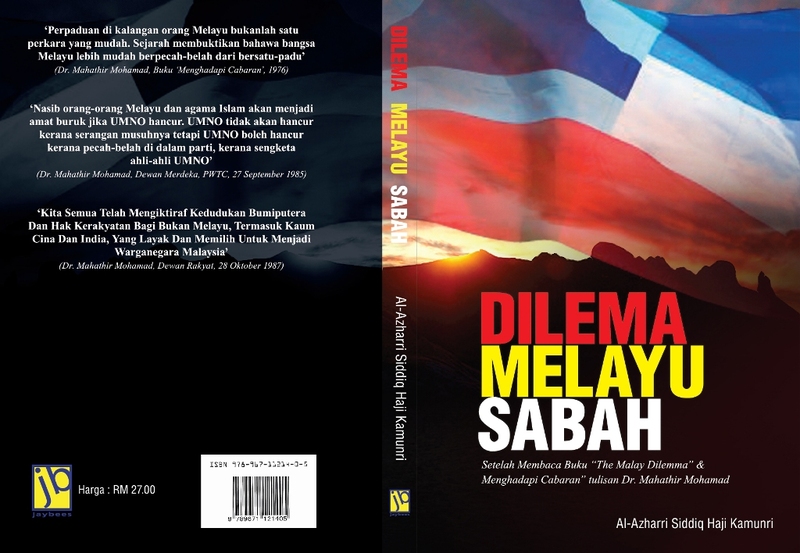 Furthermore, the culture of jumping ship or frogging as is commonly referred to in Malaysia is predominantly in some states especially in Sabah and this unhealthy political culture has over the years spread to states such as Perak and Kedah. In events of ship jumping or frogging back and forth, time is wasted, people lose confident in the political process and leaders and the whole episode undermine stability and the democracy. A GREAT EXPERIENCE: WHY PH WON? IS UMNO DOWN AND OUT? MOVING ON AS MALAYSIAN ! Almost a month after GE14, Tun Dr. Mahathir Mohamad have been working very hard to strengthen the government's administration through various reforms/changes. 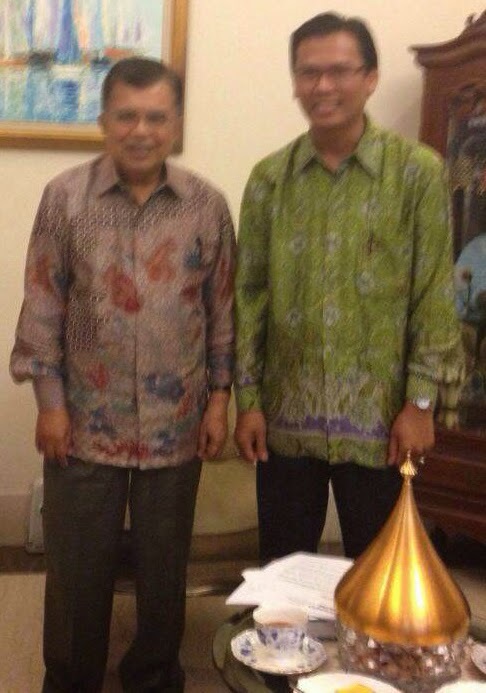 DS Anwar also came into the picture to help the former, for example, in meeting YDA to discuss and allay possible royal discomfort in appointing a non-Malay, non-Muslim as the country’s Attorney General. I was a student when I first went through experiencing the country’s leadership under Tun Dr. Mahathir (1981-2002). 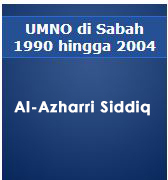 When Tun Abdullah Ahmad Badawi become prime minister between 2003 and 2009, I had just started work as a government officer. When Tun Mahathir became prime minister for a second time in May 2018, I am once again a student although at different stage/ level compared to before. The latter had come back to power riding upon the peoples’ (Malaysian) tsunami fuelled by discontent over many national issues that affected the nation and the peoples’ livelihood. In Mahathir’s second round as prime minister, which was capped at about 2 years, DS Anwar is touted as prime minister-in-waiting. So far, he has no formal government opposition. As a student of politics, there is a lot to be learnt and first hand at how democracy works, the importance of people’s participation, the need of those elected officials to respond and be in tune with the pulses of the people. It is indeed refreshing to be a student of politics at this state of Malaysia’s political development as politics unfolds and textbook theories are being validated by the political process that keep unfolding each day. The success of Pakatan Harapan or the Alliance of Hope in the recent general elections was due to the role played by Tun Dr. Mahathir. Without the former, wrestling power from the former BN was probably a feat near impossible. 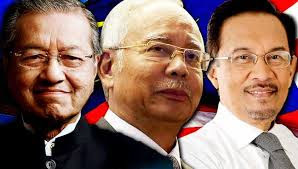 In two previous general elections, the opposition pact comprising various political parties could only bring their parliament seats counts to about 80, including winning a few states such as Selangor, Penang and Kelantan as well as creating hung state in Perak at one time. So, the Mahathir factor is significance in PH’s win in 2018. It was the only variable that differed from two previous general elections where opposition gained ground but not enough to cross the winning line to take the federal government. How could the above have happened, one might ask. Well, it was obvious that DS Najib was beginning to slowly loose grip over politics when he took over the leadership of UMNO, BN and as prime minister. This can be seen from emergence of stronger opposition voices especially in PRU12 and PRU13. This weakness did not happen during Tun Mahathir’s first term as prime minister, when opposition was weak and reduced to being insignificant in the federal parliament. Is UMNO down and out? DS Najib is down! But UMNO is not necessarily down with him. BN won about 79 seats. If seats from Sabah and Sarawak as well as those little won by its Peninsula components, then about 60 seats or so is still huge for one political party, UMNO to have won. That number certainly do not spell the end of it, i.e. UMNO. PKR and DAP, the leading component of the new ruling party has less than that number. So, UMNO may be a sinking shop BUT it has not gone under the water and far from reaching the bottom of the sea. As president of UMNO and chairman of BN, DS Najib’s decision to resign from these positions is responsible and in line with tradition of taking responsibility for the loss suffered by UMNO and BN in the last general election. But top party leaders’ readiness to accept this without much debate was not wise because there is now a power vacuum. Who has the cloud to take over? Some names may pop up but they do not in any way measure up to the challenge to lead UMNO. It is only natural for a political party that has known only power to feel disoriented when it lost power. In the immediate days after losing power, many potential UMNO leaders are bewildered and cast conflicting aspirations. For examples, Acting President, Dr Zahid Hamidi, was quick to pay homage to the PH prime minister and former UMNO President, Tun Mahathir. This is a clear sign of weakness and perhaps therefore questions his ability to shoulder the responsibility to revive and lead UMNO forward. UMNO Youth, touted previously as uprising UMNO leaders, Khairy Jamaluddin was quick to criticize his former boss, DS Najib. Who is he trying to flatter? This is another sign of weakness of character and also lack of loyalty to own struggle in the face of challenge. It is clear that UMNO is not yet OUT, but the party is in dire need to develop potential leaders to revive the party. It would not be easy and it would take time as UMNO really lack potential leaders to take up the job. If we are to ask, who could stand up and take the leadership to revive UMNO? I think it is a difficult task to come up with names. This differentiates UMNO from many components of PH. Among this group, names simply pop up such as Azmin Ali, Rafizi Ramli, Saifuddin Abdullah, Saifuddin Nasution, Tian Chua, Lim Guang Eng, Anthony Loke, Ong Kian Ming. The list could go on. But whatever it is, the answer to reviving UMNO so that it can still be the party to represent Malays and at the same time be acceptable to Malaysians of various backgrounds is not all lose. The answers to this lies within UMNO itself, and there is no necessity to go beyond its border to seek answers and solutions to its present predicament and problems. Last but not least, Malaysian politics has changed and will constantly change with the promised of the emergence of a new environment that will be responsive to the people, open and transparent. For this, Tun Mahathir, like him for what he is doing now or hate him for what he has done before that many don’t like, has to be congratulated and respected for his foresight and wisdom to make Malaysia “new” that will see all Malaysians as Malaysians. This was what he has not fully achieved when he left office as first prime minister and that was creating a bangsa Malaysia (Challenge No 1). Now, he is back and he could continue and finish this objective that he set out in his Vision 2020 that he first launched about three decades ago. The general elections are now over. It’s time to concentrate and give full and undivided support to the ruling party and government of the day. After much has been traded during the general elections where parties tried to outdo each other, this is a moment of reconciliation, a healing moment and a time to reunite Malaysians in order to move the great nation forward both at home and in the international arena. PH government must be given the time and space to realize their vision and when that falls short, it is the right of people in a democratic country to trade them for another party that can better move the nation forward.